Moraira is a beautiful town along the Mediterranean located in the province of Alicante and in the municipality of Teulada which is located 5 km from the coast. It is a village located between Javea and Calpe of 15,000 inhabitants in the region of the Marina Alta. A fishing village that has developed an important tourist industry in recent decades becoming an important destination on the Costa Blanca. One of the most pleasant areas of the town is its fishing port and marina to stroll and relax after a long day at the beach. Castillo de Moraira is undoubtedly one of the most emblematic monuments of the city situated along the beach of l'Ampolla. The castle was built to defend against attacks by pirates and privateers lurking on these shores back in the 18th century. A pretty fortress of ten meters, sturdy and well-built with masonry and stone block height. The interior consists of a drawbridge through which the infantry entered. The castle is just a recreation of the original because in 1801 this fortress was blown up and completely destroyed by the British in a battle. La Torre Vieja Cap d’Or was built in the XVI century on the cliffs of Moraira at 165m tall to defend the Alicantinas coasts from attacks by pirates and corsairs. It is a tower of 26 m which could only be accessed through a rope so that enemies could not climb. From the top of the tower watchmen controlled the entire coast and when they saw some danger, what they did was light bonfires for the entire network of defensive towers of the coast to be warned of the danger coming from the sea. Not everything is sun and beach in Moraira. The Old Town of Teulada - Moraira is situated a few kilometers from the coast. Around the church of Santa Catalina we find a labyrinthine network of narrow streets where it is a pleasure to walk discovering its historical and cultural heritage. The visitor coming to Moraira will enjoy a gastronomic destination of high level where they can taste delicious dishes such as rice, meat and fish of excellent quality. Side dishes such as arroz banda, arroz del senyoret or arroz al horno are some typical dishes from this part of the Costa Blanca. Not forgetting the excellent wines of the Marina Alta forming the perfect complement to an excellent meal. Moraira features a lot of restaurants serving all kinds of food, some recommended by the famous Michelin guide. The municipality offers typical seafood restaurants, but also Italian, Oriental and all kinds of international food. The melting pot of cultures that has stepped on these lands has left an incalculable cultural and monumental heritage. Churches, castles and watchtowers that visitors can discover step by step in a fascinating journey. It's a real pleasure to walk its charming old town, swim in its wild pristine beaches or stroll enjoying many stores and terraces of the village center. Its 9 km of coastline offer long, crowded but paradisiacal beaches and wild beaches where you can enjoy calmness and tranquility. Playa deL'Ampolla is the main beach of Moraira that is 400 m long and located in the center of town at the foot of the castle of Moraira. This beach is the busiest and largest of the municipality. A beach with good facilities and services, as well as showers, lifeguard, toilets, restaurants and bars to enjoy delicious meals or refreshments. Playa del Portet is a spectacular corner of Moraira. A beautiful tongue of fine golden sand lapped by crystal clear waters of about 350 meters long. The beach is surrounded by cliffs and pine forest and vegetation. It also has good services such as a lifeguard, showers, restaurants and bars to enjoy the summer and sun in its fullness. Les Platgetes are two small coves that alternate rock and sand areas. It is the best area to go with the family because they have a garden with a walk along the beach and a large parking area. Cala Cap Blanc is a virgin cove of rock about 180m in length and low occupancy. Being situated on a cliff surrounded by greenery, it clearly stands out for its natural beauty, it is a little crowded beach. It is a place of great beauty with a seabed rich flora and fauna. The nearest airports are Altet in Alicante 85 km away and Valencia Manises airport is 110 km. 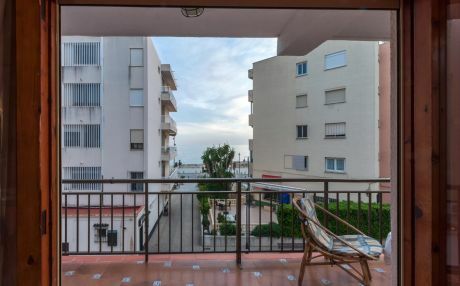 Although Moraira is a small town on the Costa Blanca, it has a good tourist infrastructure and above all, offers visitors many possibilities for accommodation. Moraira has several hotels of different categories including hostels. 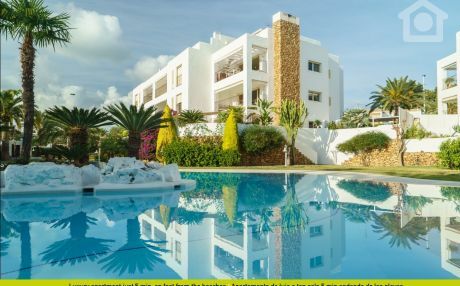 But if you really want to travel with freedom, living the experience with local people and at half price, then we recommend renting apartments in Moraira. You only have to mark the dates for your trip, do a search and you will find multiple options for the whole family. Whether studios, apartments or beachfront rental houses in Moraira, all options are available for an unforgettable vacation.